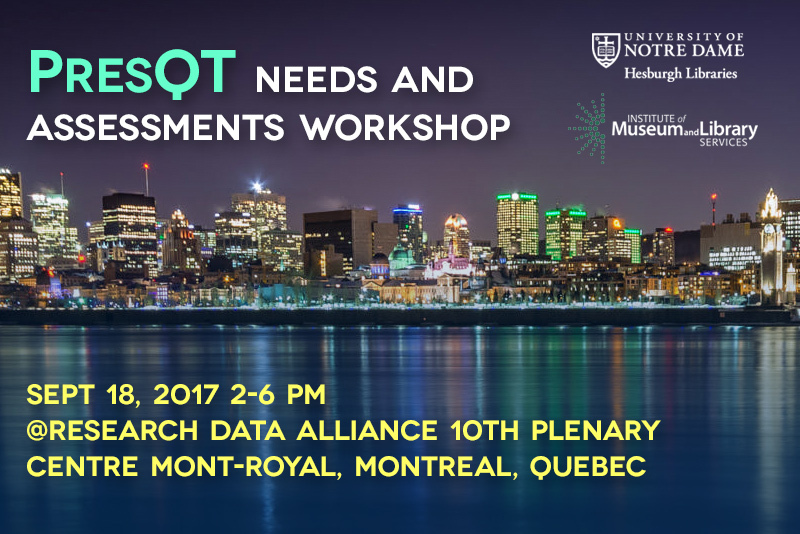 Register for the PresQT workshop, a free pre-conference collocated event at RDA Plenary 10. Target audience: Governments (Canada, provinces, cities), policy makers, civil servants, researchers and students. Enhance collaboration and data exchange between polar data centers of different countries and with RDA. Work on establishing and enhancing shared standards for data storage and exchange. We are working on setting up an RDA interest group for Polar Data, collocating the meeting enhances this process. Registration for this year’s PASIG conference in Oxford, UK (11 – 13 September 2017) is now open.